I have had the opportunity to make science part of my life through a varied career in academia, biotechnology, materials research, and pharmaceutical discovery. These pages provide a thematic outline covering my interests in these areas over my scientific and professional career. My objective is to provide some brief commentary relating to advances that have occurred over the last 30-plus years both in basic science and technology, as well their ramifications in biotechnology and drug discovery. Where appropriate, I have tried to outline the expectations of new technology, what really happened, and why. I also take this opportunity to describe some forward looking ideas in areas like protein-based nanotechnology. As Edmund Burke (1729-1797) noted "Those that don't know history are condemned to repeat it." Of course, any editorial commentary represents one man's opinion. During my PhD studies and following years at the University of Arizona, I carried out X-ray structural studies of proteins involved in biological electron transfer. This in turn lead to docking studies and other simulations aimed at understanding how electron transfer processes are controlled and facilitated. 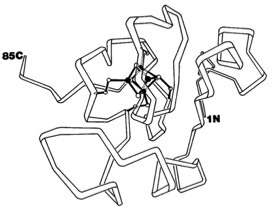 With the rapid proliferation of new protein structures emerging in the 1970's, it became apparent that certain structural features recurred in the absence of obvious sequence homology. What were the factors that were responsible for these recurrent structural themes? I have worked with many collaborators to develop and use computational methods to understand structural and physical properties of molecular systems. 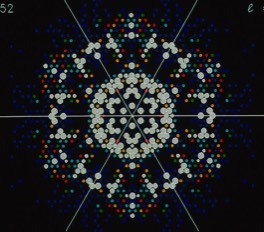 The modern structural biologist is accustomed to the availability of a wide range of visualization tools for molecular representation. Some molecular representations like space-filling VDW are relatively straightforward in concept. 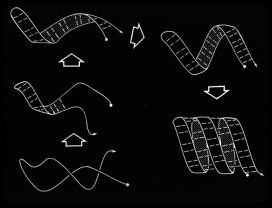 Others, such as cartoon diagrams, began as sketches that evolved into a set of conventions ultimately defined by mathematical parameterization of the polypeptide chain trace. 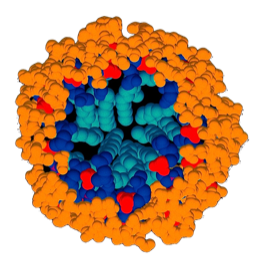 The central role of structural biology in modern biomedical science is the consequence of the steady development of computational and technical advances in protein crystallography. 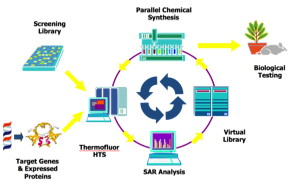 The emergence of advanced cheminformatics and database tools has transformed the process of drug discovery. 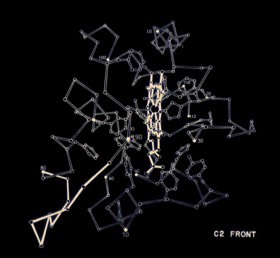 3-Dimensional Pharmaceuticals (3DP) was a biotechnology company that effectively integrated computational and experimental tools for parallel chemical synthesis and HTS with X-ray crystallography and within a comprehensive computational and database framework. 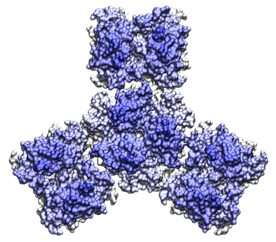 Structure-Based Drug Design, that uses X-ray crystallography to directly visualize drugs bound to protein targets, has become an established component in modern drug discovery. 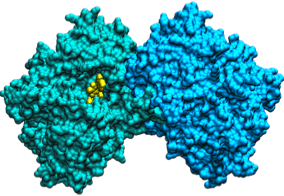 Streptavidin's affinity for biotin is among the tightest protein-ligand interactions found in nature. As a consequence of its exquisite specificity and essentially irreversible affinity, the streptavidin-biotin interaction is been widely utilized for a multitude if biomedical research applications. 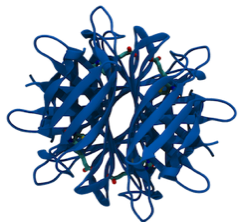 Protein-Based nanotechnology offers the potential for fully scalable manufacturing processes that span the nano to macroscales.